Venezuelan President Nicolas Maduro has ordered a close review of the country’s relationship with the United States in answer to stinging condemnation from the Trump administration. The U.S. maintains an embassy in Caracas, but the two countries haven’t exchanged ambassadors in nearly a decade. The leader of the Organization of American States is praising a decision by Venezuela’s opposition-controlled National Assembly to stay in the regional group. Venezuela’s government announced its withdrawal from the OAS in 2017 after member states began raising questions about the leadership of socialist President Nicolas Maduro. Almagro has been one of Maduro’s fiercest critics and has already recognized Guaido as Venezuela’s interim president. Venezuela’s pro-government Supreme Court declared Monday that the National Assembly’s leadership is illegitimate and nullified its recent decisions. Guaido has re-energized the nation’s opposition movement and is calling for mass protests across the country Wednesday. Some of the Republican members of Florida’s congressional delegation are urging President Donald Trump to recognize Juan Guaido as Venezuela’s new interim president. U.S. Vice President Mike Pence says Venezuelans have the “unwavering support” of the United States in their effort to restore democracy to their country. The vice president says the U.S. joins other “freedom-loving” nations in recognizing the popularly elected National Assembly as the “last vestige of democracy” in Venezuela. He says he supports the decision by National Assembly president and opposition leader Juan Guaido to declare Maduro a “usurper” and call for the creation of a transitional government. “It’s crucially important for Europe to have a significant presence in such Group of Contact in order to promote adequately our common interests,” the statement says. 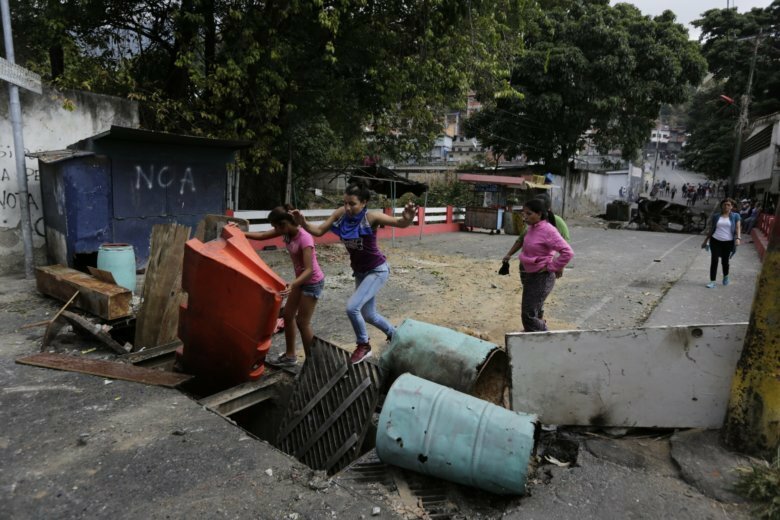 Working class neighborhoods in Venezuela’s capital are sifting through charred rubble and smoldering trash after violence erupted a day earlier. Student Jesus Veroes says he’s saddened by a clash with police in his neighborhood that left an important cultural center a burned ruin.